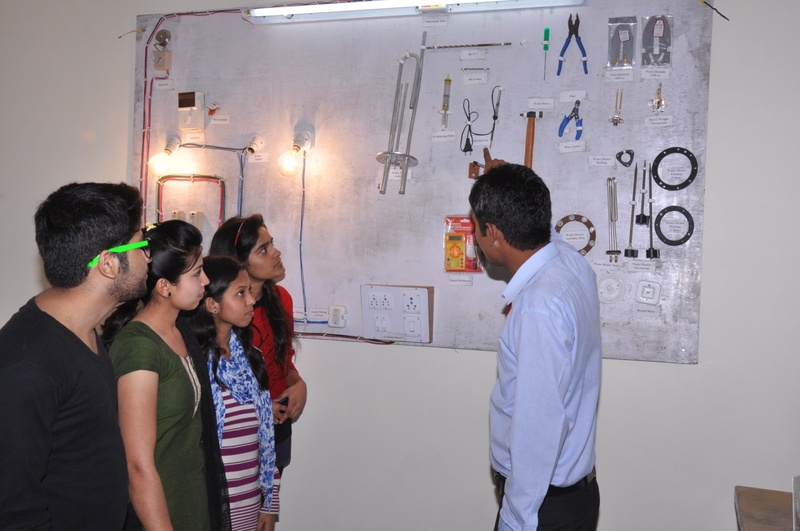 The vision of ECE department is to bring out engineers with 100% employability, and research scholars of high caliber who can make significant contributions to the engineering domains. Accordingly, the focus of the department is on the holistic development of students in tune with the requirements of the industry/ research institutions and other employers. This calls for innovative approach and the department regularly takes various academic initiatives towards staying ahead in terms of quality and content of the education. The department has adopted outcome driven approach where each component of the course delivery has a specified outcome which can be measured/ evaluated and correlates with the vision of the department. For measuring our performance, feedback from all stakeholders including employers, students, faculty and others is collected, analyzed and used for improvements in our processes including curriculum content and design, delivery methodology and evaluation processes to continuously keep them aligned with the changing requirements of the MARKET. The approach of the department is to make the learning process for the students interesting and participative with experiential learning and strong emphasis on practical education, and exposure to real time scenarios through strong industry interface. The department is provided with sufficient resources to meet these objectives. In addition to competent, well qualified and experienced faculty, the labs at the department are well equipped, maintained and regularly modernized with latest equipment and industry standard software tools. Independent project work by students is highly encouraged. The faculty is motivated to update their knowledge base through regular faculty development programs.